It is ready for mainstream manufacturing, and now AFW can offer expanded capabilities with this technology to industrial manufacturers. For many years Linear Friction Welding has been the domain of exotic applications like aerospace. Special alloys in aerospace are joined, for example, in a blade-to-disk (blisk) formation for jet turbofans. The cost of equipment limited the process to highly specialized manufacturing. Today, the advantages of this fabrication method are ready to enter the mainstream of manufacturing. Would solid-state fusion with these advancements make a difference in your operations? 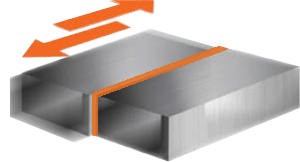 For an overview of the process, click for new reference pages on Linear Friction Welding. You can also keep a copy of this white paper for reference.